The Ambassador of the People’s Republic of China to the Commonwealth of Dominica Lu Kun, describes March 23rd 2004 as a historic moment and unique day for both the People’s Republic of China and the Commonwealth of Dominica. On that day, the documents which established diplomatic relations between the two countries were officially signed. The 15-year strong relationship according to Ambassador Kun, has yielded abandoned fruits which has benefited the people of China and Dominica. He explained that China is considered a brother in the Caribbean region, and throughout the past 15-years development has been witnessed in Dominica. 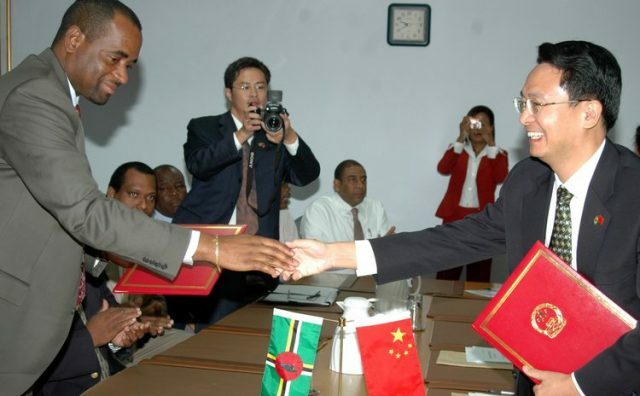 Prime Minister Roosevelt Skerrit also describes the relationship as a true and sincere friendship between Dominica and the People’s Republic of China. Prime Minister Skerrit urged Dominicans to pay no mind to negative comments from other sources about the relationship and the investments that China has made in Dominica. The Prime Minister says the Government of Dominica is in absolute and complete adherence to the one China policy.